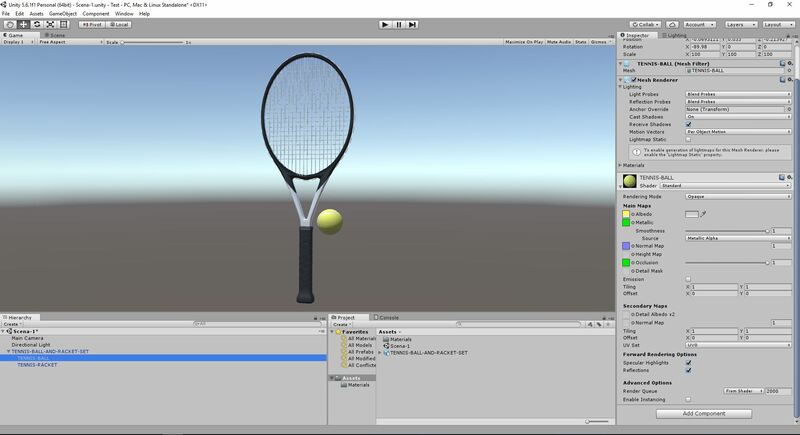 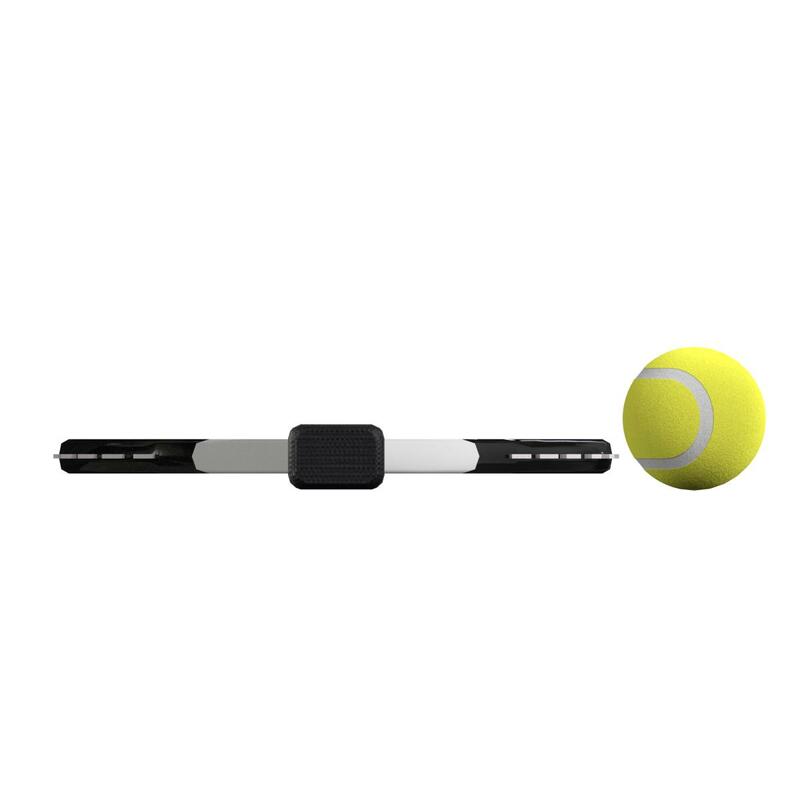 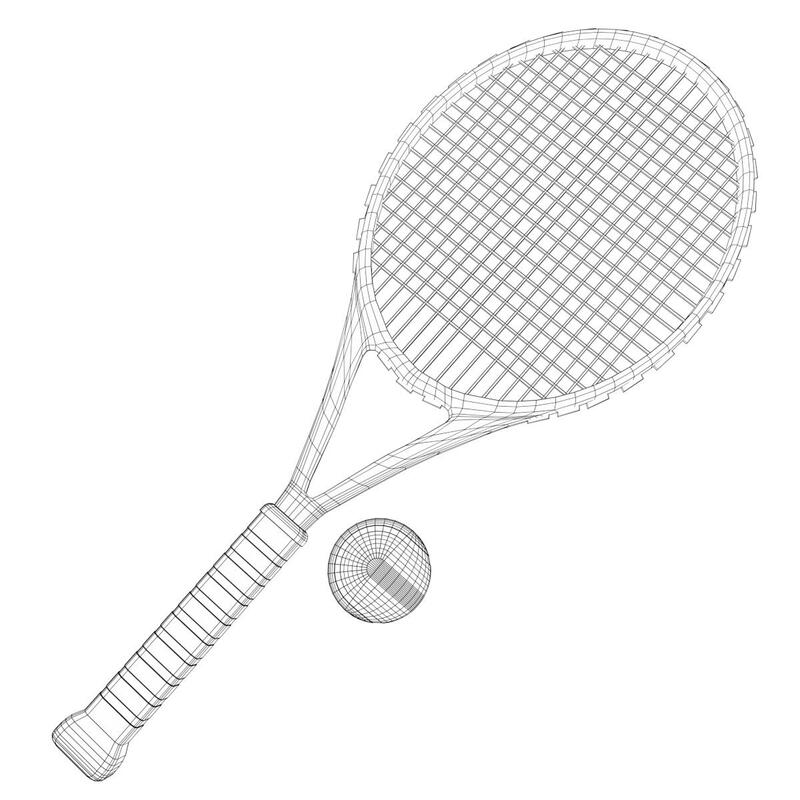 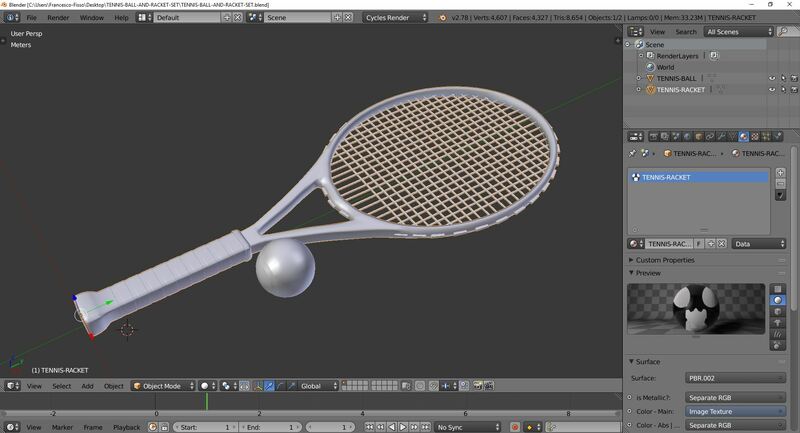 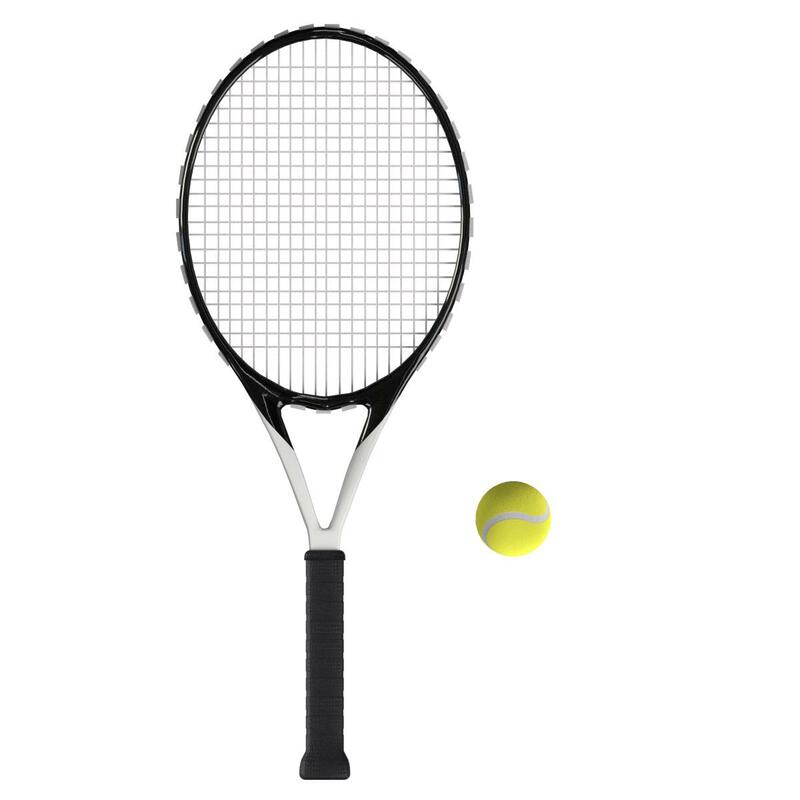 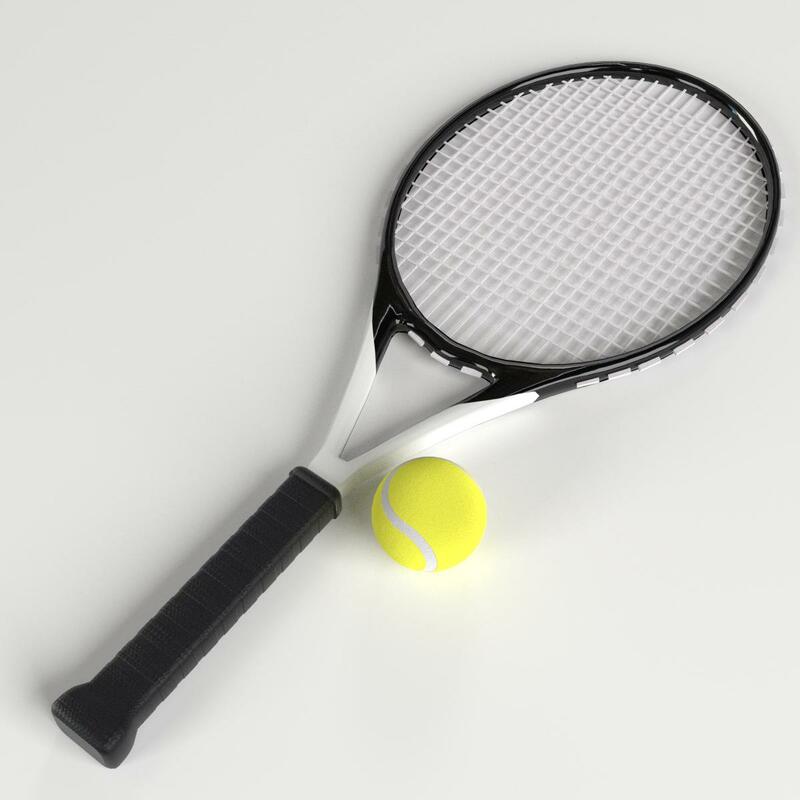 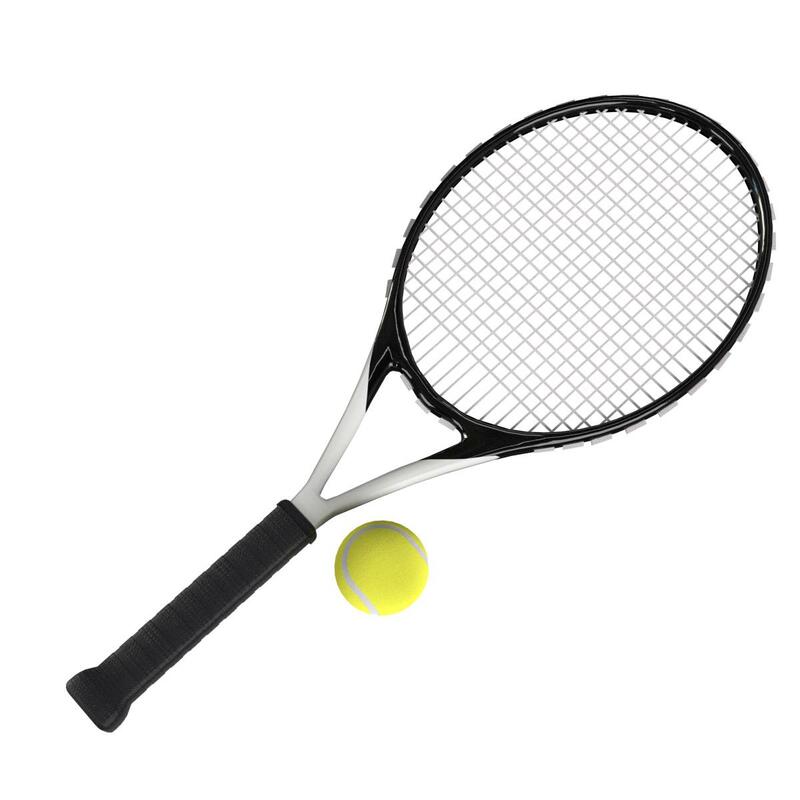 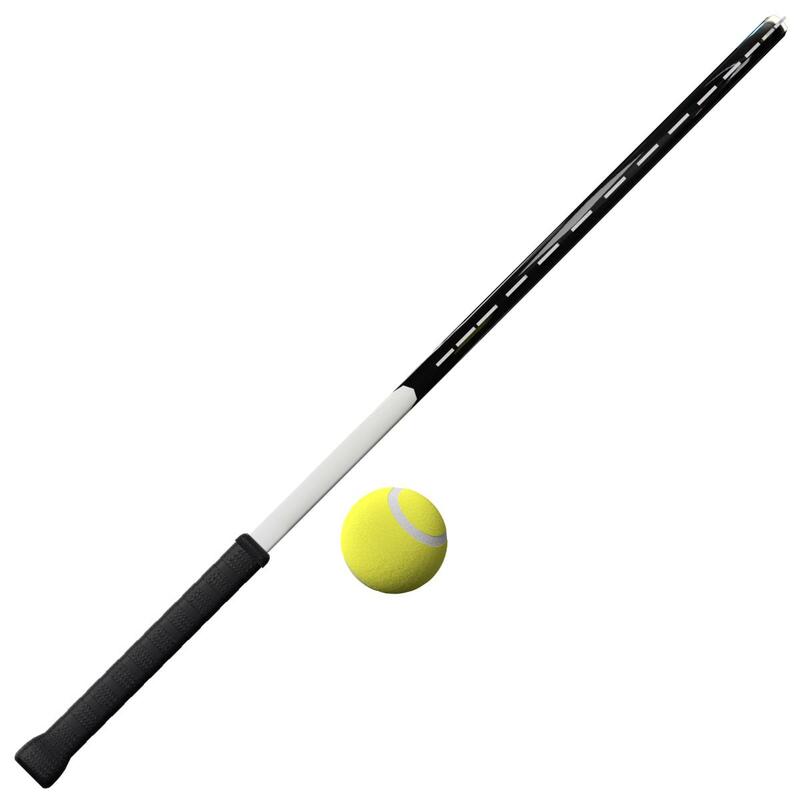 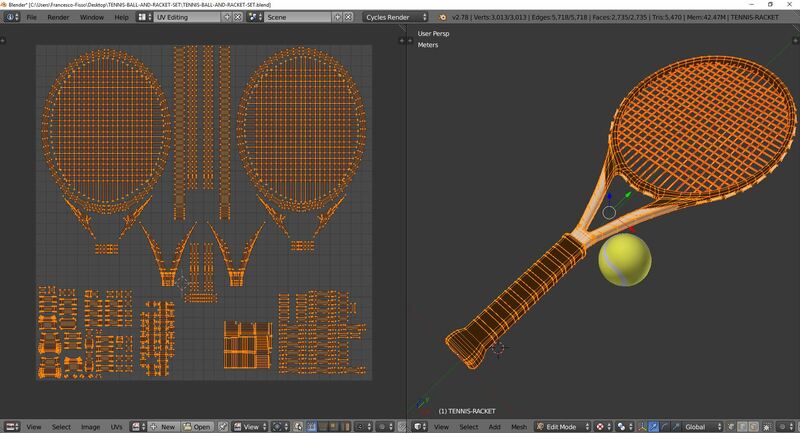 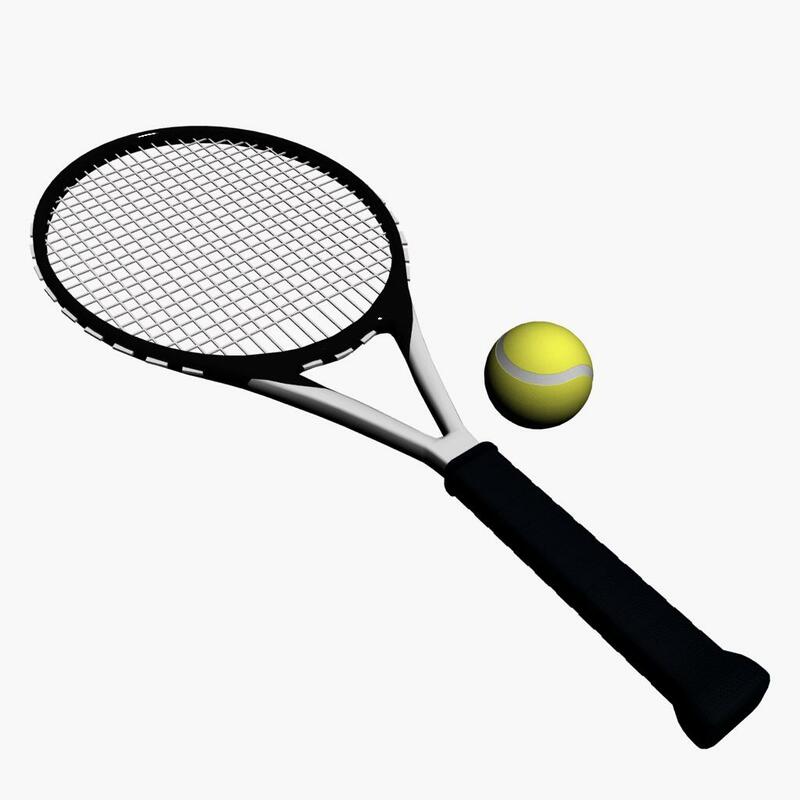 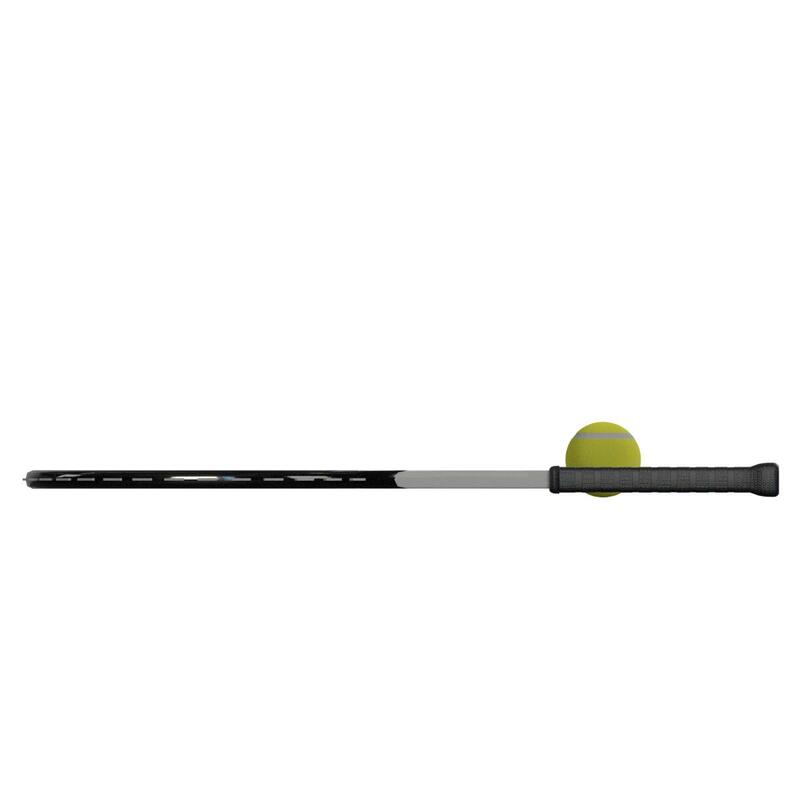 Tennis Ball and Racket 3D models set. 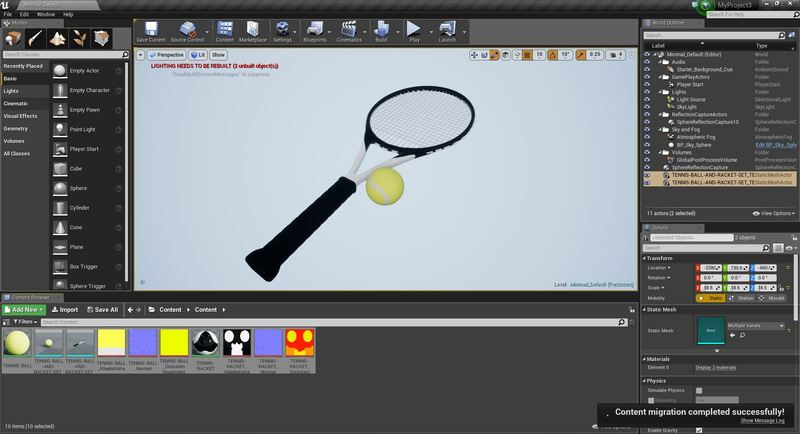 2 Objects (meshes), 2 PBR Materials (in Unity Package, in Blender Cycles, in the Unreal uassets, and in 3D Studio MAX V-Ray scenes), UV unwrapped (non overlapping UV Layout map provided in the package; see preview images); UV-mapped Textures. 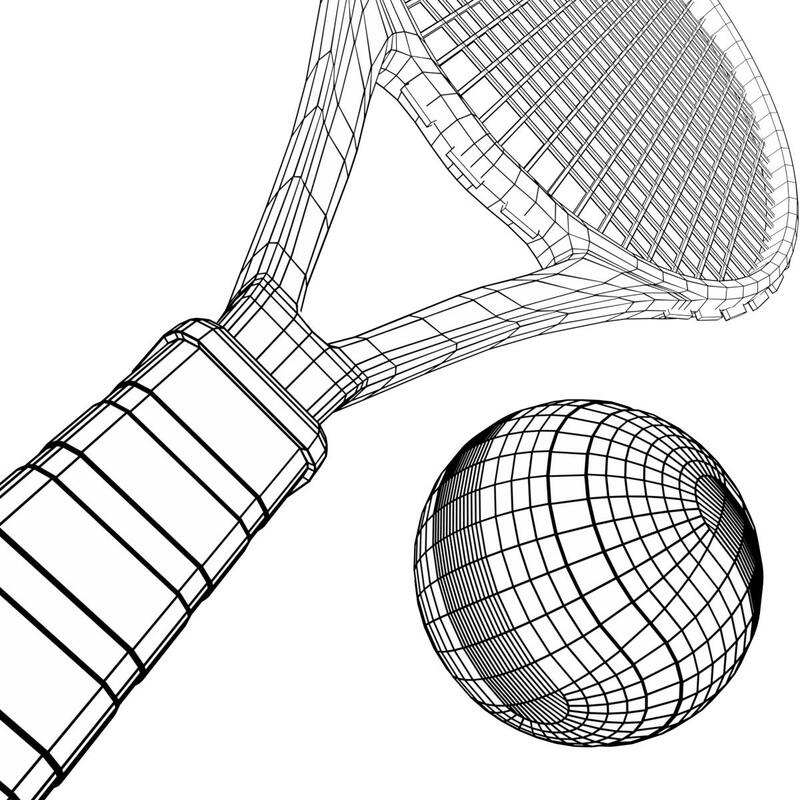 Polygonal, QUADS ONLY, NO POLES; 4607 vertices, 4327 quad faces (8654 tris). 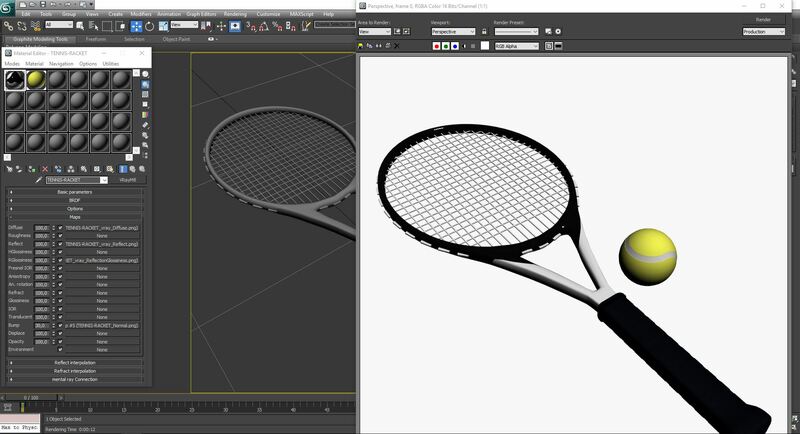 IMPORTANT - Main renderings made in V-Ray ADV 2.30.02 and in Blender 3D + Cycles using an HDR Environment Texture Image which is NOT provided in the package!